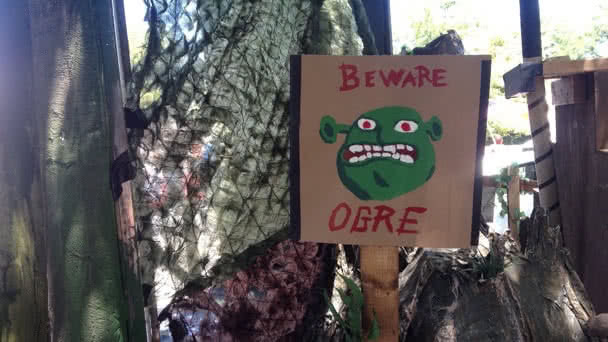 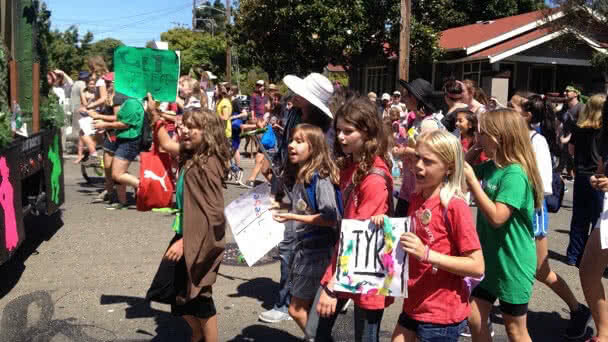 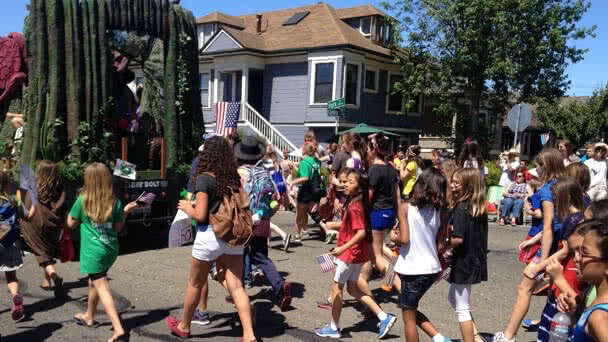 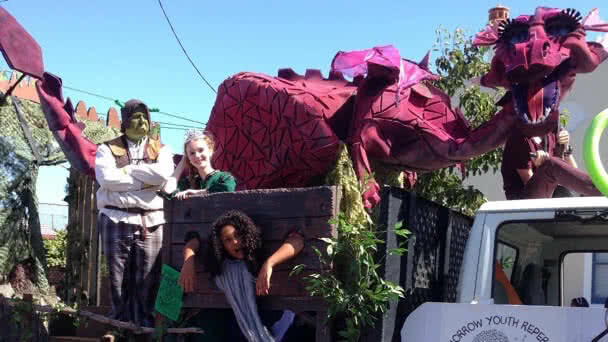 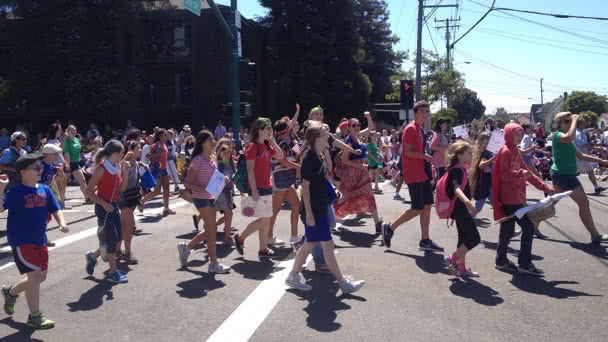 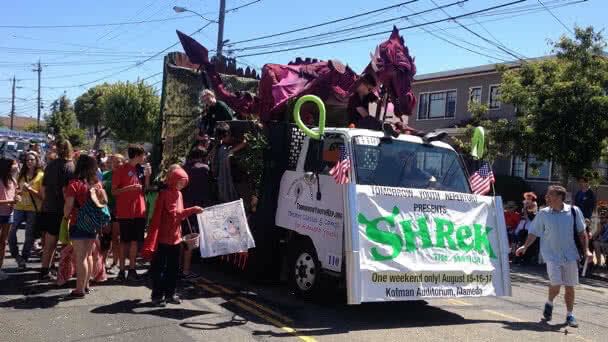 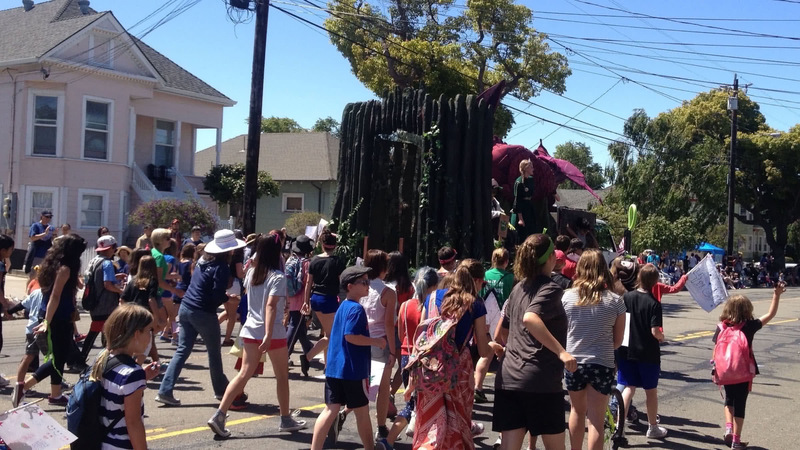 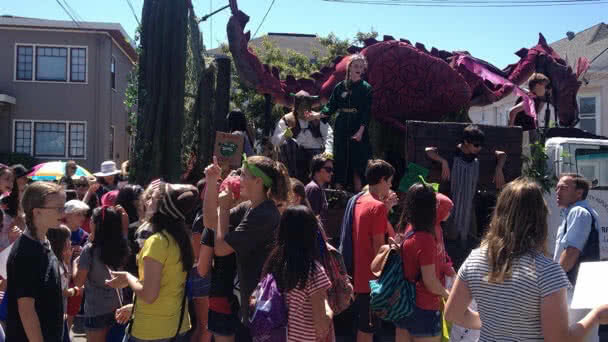 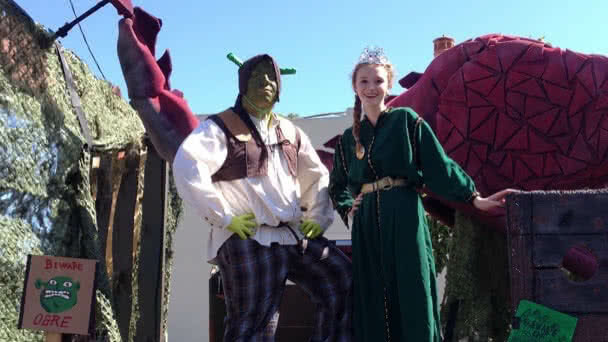 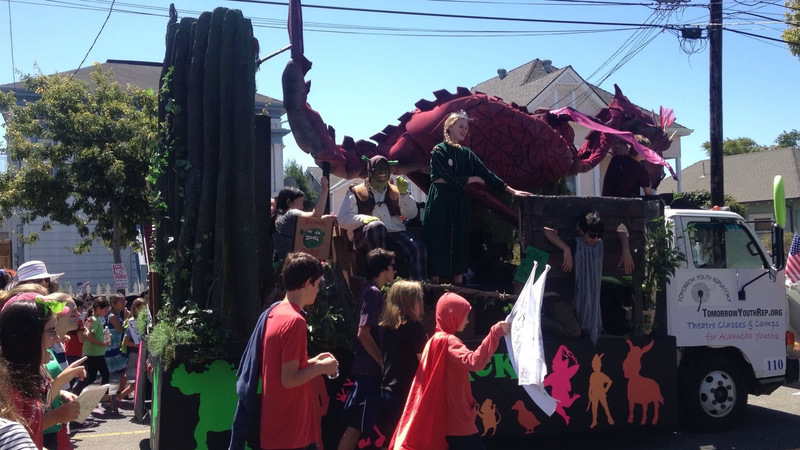 Dozens of TYR alumni (along with a few parent and staff helpers) walked the parade route, letting their "freak flags" fly and singing songs from the upcoming production of Shrek pther TYR favorites. 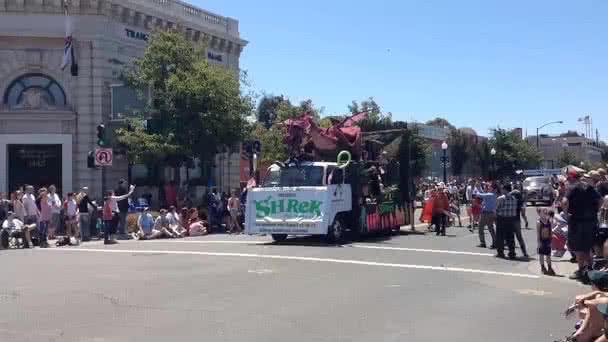 They walked the 3.3 miles behind the giant "swamp" float featuring characters and props from Shrek — including the giant pink and flying purple dragon (see the YouTube video) from the show. 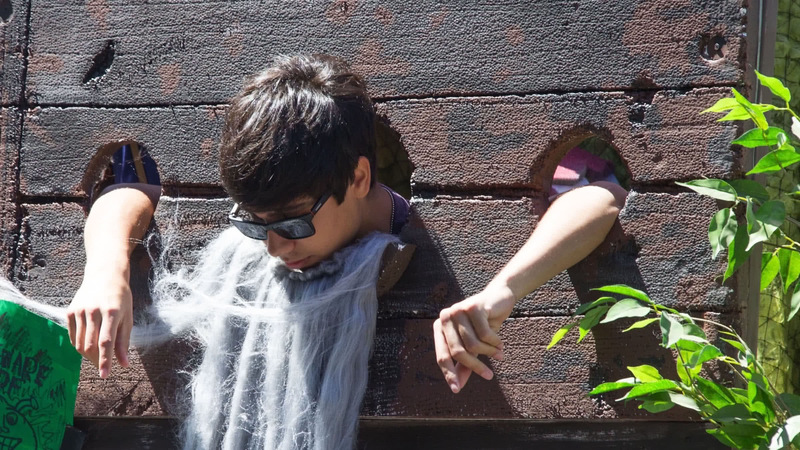 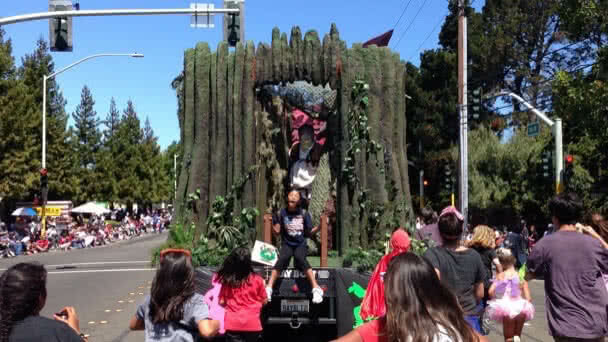 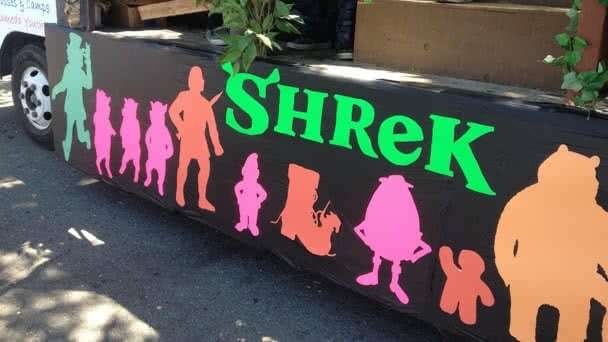 Kids took turns riding the float and hanging out in the stockades, while Shrek and Fiona waved from the float. 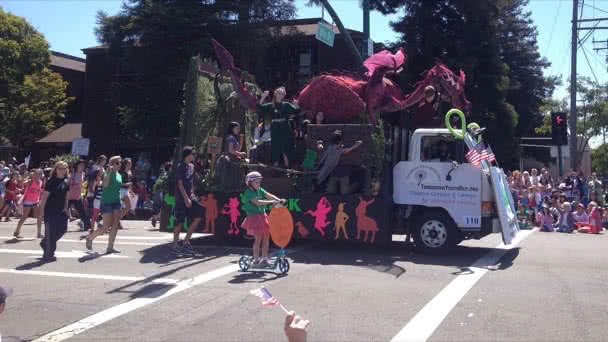 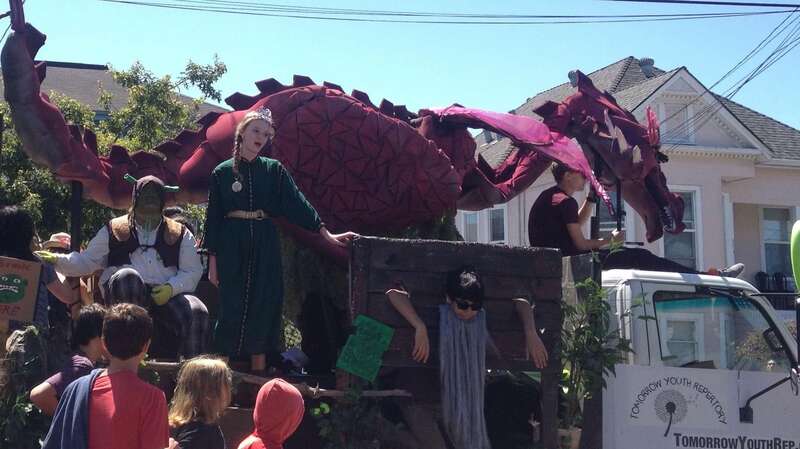 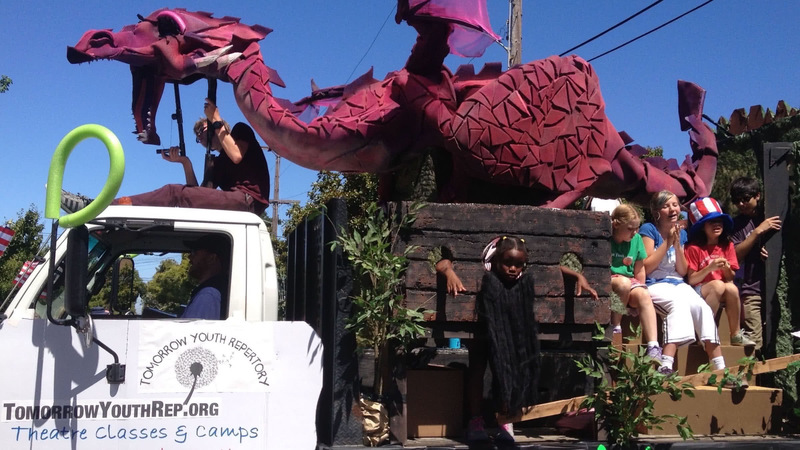 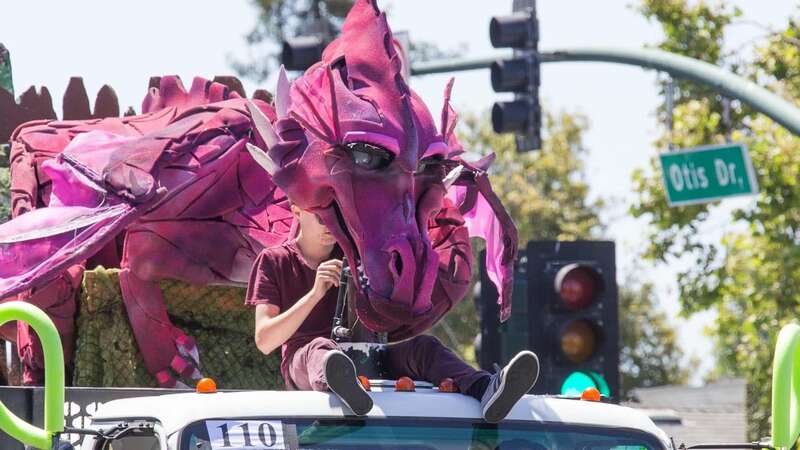 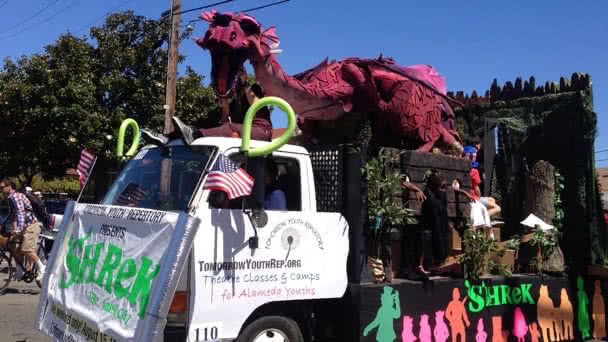 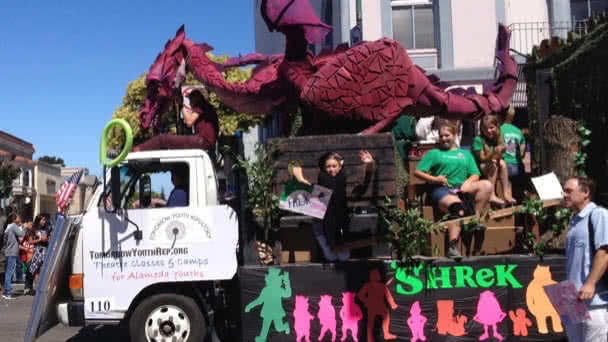 TYR's float won second prize in the float category! 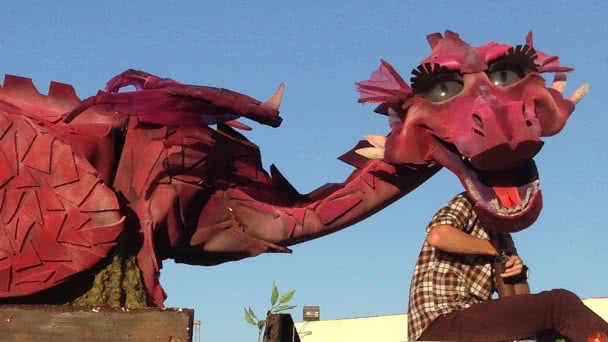 Be sure to see the show on August 15-16-17, one weekend only, at the Kofman Auditorium in Alameda!